Dermatologists have at length insisted that acne is unrelated to what you put in your body. All the blame was placed on what you applied to your skin, and of course, hormones. But a new studies are putting medical textbooks to shame. 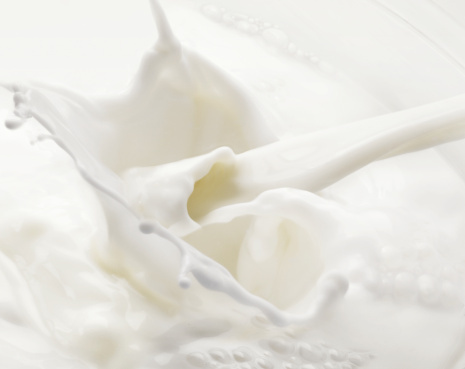 William Danby published a paper in Clinics in Dermatology and a second in Dermato-Endriconology, which discuss the role of dairy with regards to skin. His research points to the anabolic steroids and growth hormones 5–alpha–pregnanedione and 5–alpha–androstanedione as stimulants of acne. He extends his argument to both sugar and processed carbohydrates because their high glycemic loads affect serum insulin, which promotes production of androgens and therefore the development on acne. In parallel, Loren Cordain, a professor of health and exercise science at Colorado State University in Fort Collins conducted a study on 1,200 Kitavan Islanders of Papua New Guinea. Not a single case of acne was found. If you compare that to statistics in America, 80-95% of teenagers experience breakouts. The diets of the Kitavan Islanders included mostly fish, fruit, tubers and almost no processed foods. A consistency emerges between the studies: the Kitavan Islanders did not consume processed carbohydrates, sugars or dairy. Could everything we've been taught all these years be wrong? Should we be avoiding dairy, sugar and processed carbs to prevent acne? I believe that the real test is your personal experience. Do you find that these foods trigger breakouts?